Outstanding in the Field is a traveling culinary circus which has been rolling into towns around the world for the over fifteen years. It started in 1999 when chef Jim Denevan had a vision. 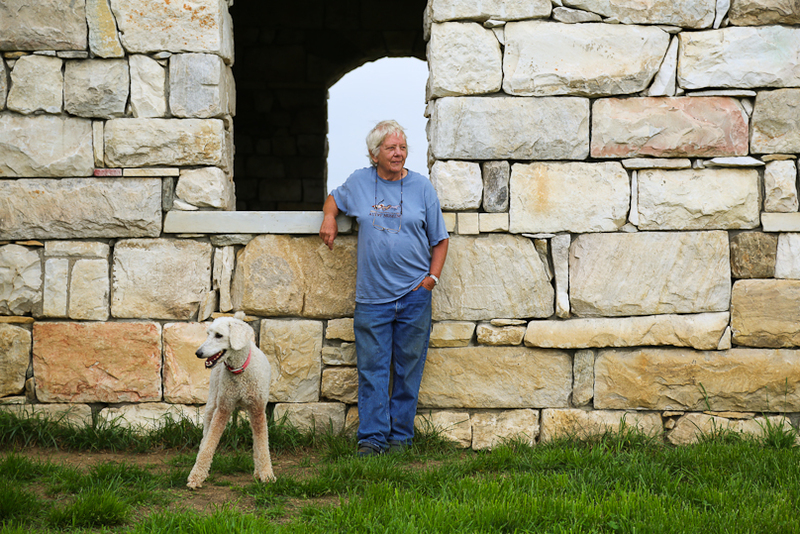 His idea was to match a local farmer and chef and create an open-air dining experience. The common thread for each location is that guests sit together at one long table and eat family-style. Tables have been set in the center of farms, ranches, beaches, rooftops, and urban gardens. 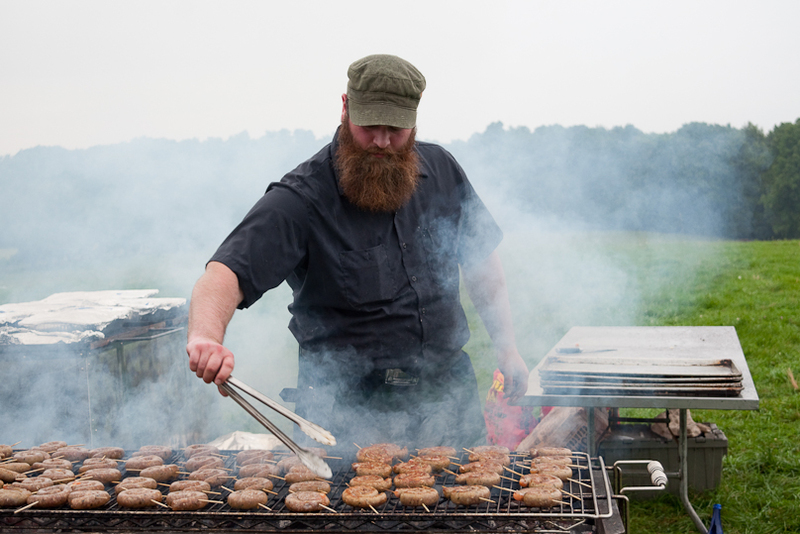 On this Labor Day weekend in the Berkshires, the Outstanding in the Field crew fed nearly 200 people on Lila Berle’s sheep farm with food prepared by chef Brian Alberg of the Red Lion Inn. But cooking outside and serving on a hilltop means that Mother Nature may not cooperate. Below is a video and a slide show showing how the day unfolded. Jim Denevan is the founder and visionary of Outstanding in the Field. He selects breathtaking locations for the dinners. The idea is to partner a local chef with a regional farmer. 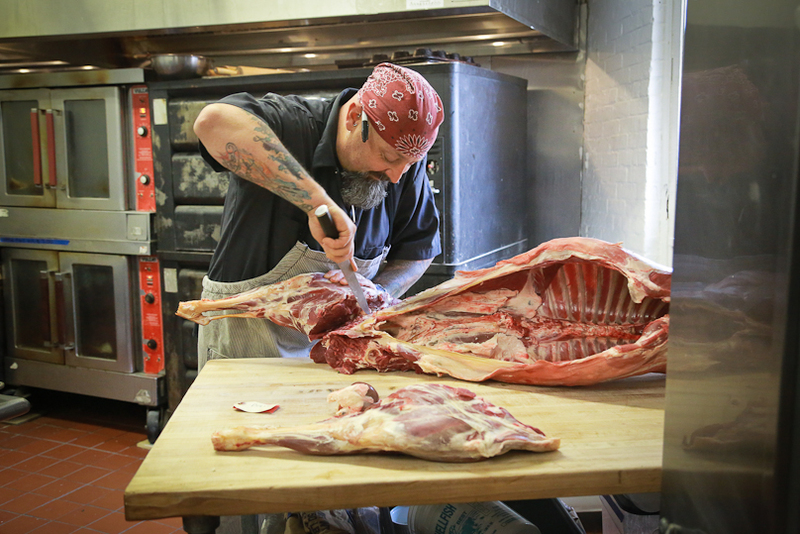 Chef Brian Alberg of The Red Lion Inn breaks down a whole mutton from Lila Berle's farm for the event. Lila Berle's family has been in the Berkshires for decades. Twenty years ago, she decide to become a sheep farmer. Denevan and his crew travel all over the country with 200 of their own chairs and tables. The one thing they ask guests to bring are plates. The food is prepared in a remote kitchen. Here they grill lamb sausage on the farm where the sheep were raised. The one consistency for each dinner is that guests are seated at a single long table, but the table always has its own unique curves and twists. 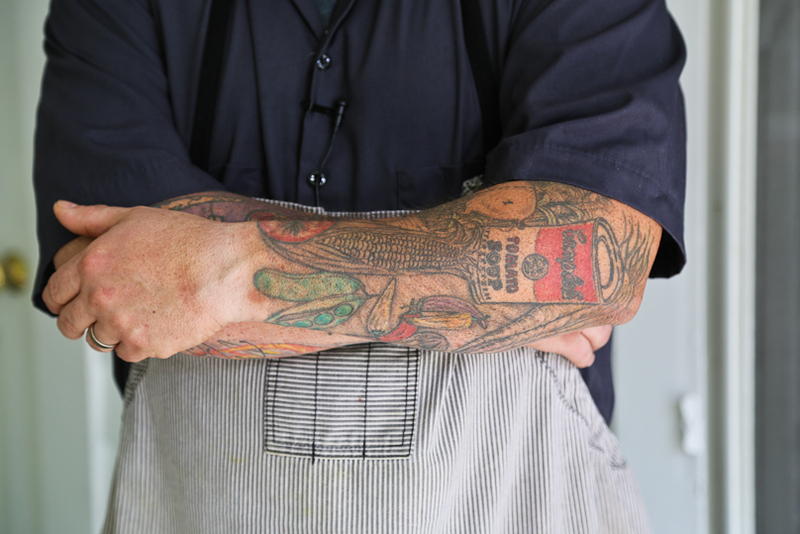 Chef Alberg's menu takes advantage of the area bounty from the Berkshires, Hudson Valley and Vermont. 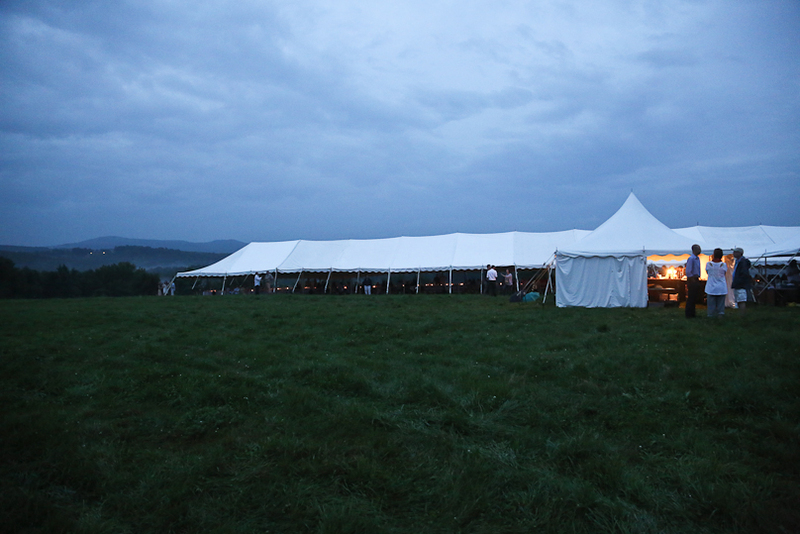 Dinner out in a field means braving the unpredictable elements. The forecast called for finding a rare tent that could cover one long table that seats two hundred people. The openness allowed people to enjoy the rain and the view... and stay dry. Download the Find. Eat. Drink. iPhone Travel Guide app for Berkshires recommendations from local chefs, bartenders, and food artisans.